Dining at TTHA is a major highlight for many of our residents and we invite residents’ families and friends to partake in the varied cuisine on offer. Starting a new menu is always exciting stuff. It does not matter how many years of experience is behind it… you’re only as good as the last meal you served. We’re very proud of the variety and selection of food served at TTHA. We love the idea of celebrating international events and holidays by serving food to suit the occasion, for example Mexican food on Cinco De Mayo day and British cuisine over the Queen’s birthday weekend. We’re also very proud of the high quality of our food when it comes to the suitability of texture modified meals for our residents. When texture-modified food is served in such a way to represent the real thing in flavour and in nutritional value, it stands true and maintains an enjoyable dining experience for our residents. 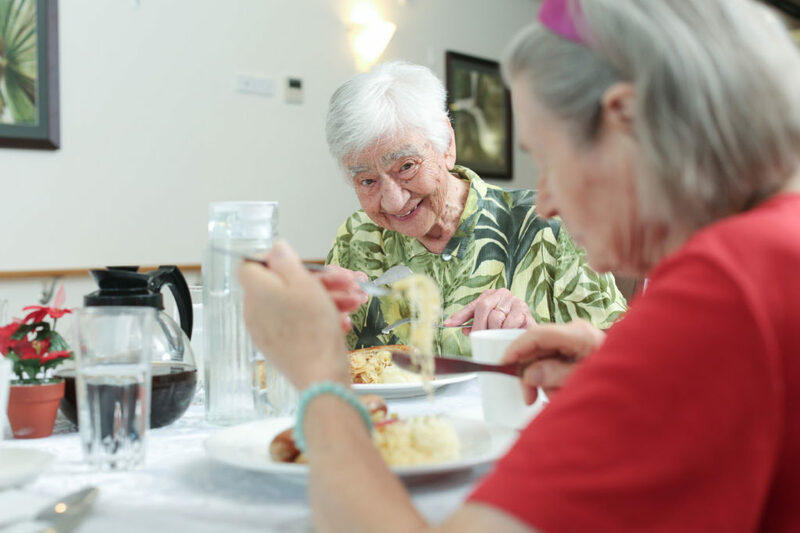 Our on-site Café also caters for residents, their families and our staff and provides a welcoming, comfortable and social environment where residents can indulge in an European gourmet cake and coffee, tea or hot chocolate and share in conversation. 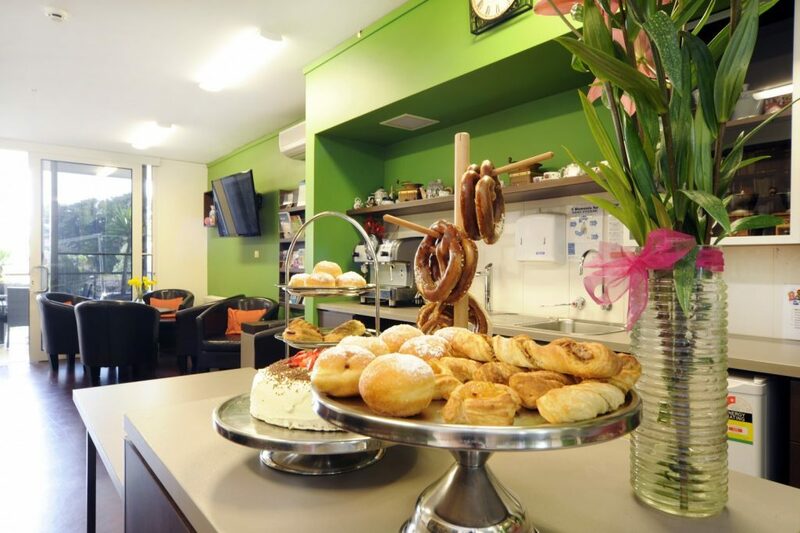 TTHA’s Café also allows us to prepare and serve up tasty treats on special occasions such as birthdays, Pancake Day and hot cross buns at Easter. 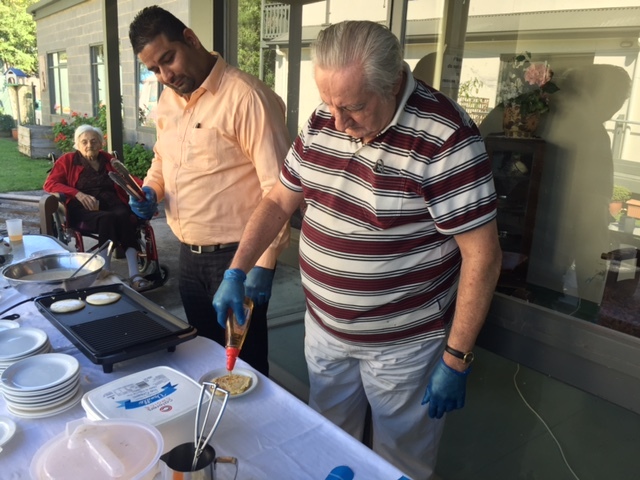 Our residents also thoroughly enjoy participating in our weekly baking activity where they have the opportunity to prepare biscuits, cakes, pastries, breads and other baked delights under the guidance of our chef, Lifestyle Coordinator & volunteers that are often shared amongst the residents for morning and afternoon teas. It’s an activity that brings about creativity, independence, socialisation and best of all, tasting!